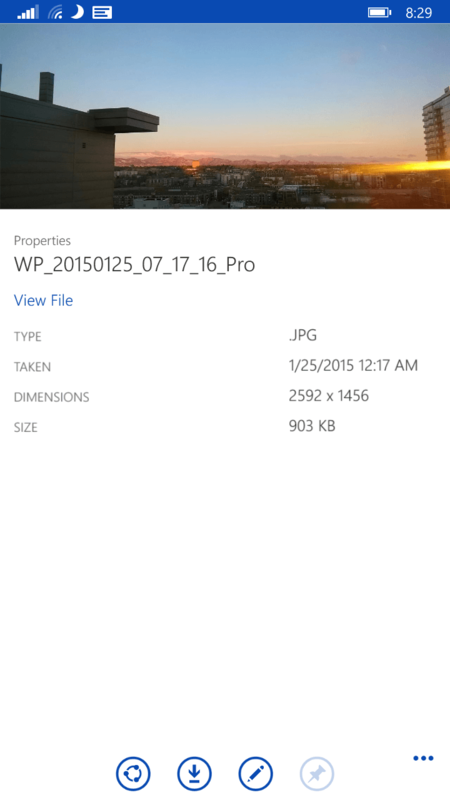 But there is something new in this update and the file properties changes are actually really nice. photo as you will see the photo at the top and not just a small, almost impossible to see, thumbnail. Take a look at the two screenshots I have to the right to see the difference. Personally I think the change makes a big difference when it comes to reading details on the file. 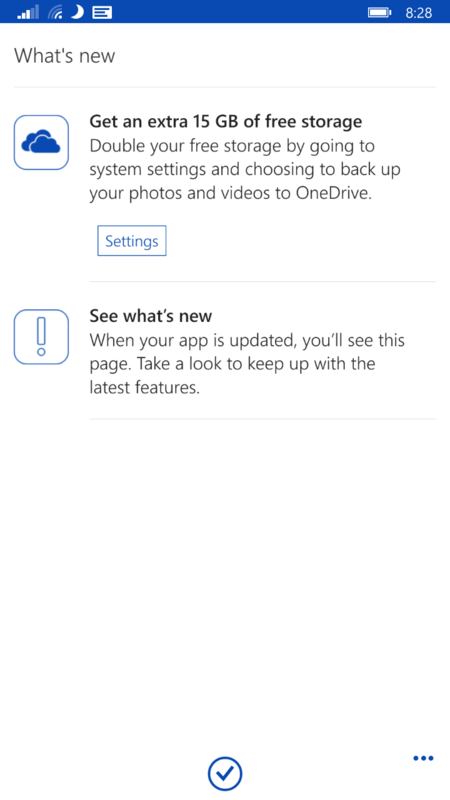 which will tell you how to gain more OneDrive space and will highlight what changes were made in the update. In this release there is nothing listed (see the screenshot on the left) but you can see where Microsoft is going to go with it in the future. The best way to think of this is as a placeholder for them to use in the app later. 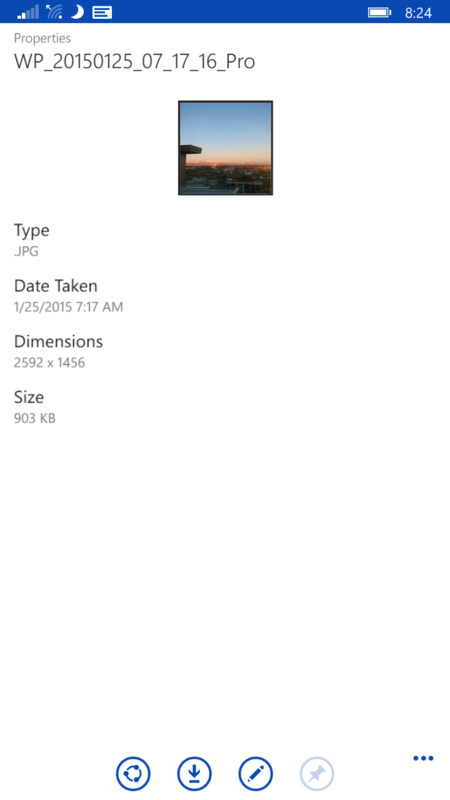 As always the OneDrive for Windows Phone app itself is free. If you are new to OneDrive, you can get a free, 15GB account just by signing up (click the OneDrive icon in the right side menu to join) and you can access it from your Windows PC, Tablet, Phone or Android or iOS devices.